Pope Francis has proposed that next Synod of Bishops will focus on “Young People, the Faith and Vocational Discernment”. In order to prepare for the Synod of Bishops, a Preparatory Document has been released to assist reflection and discussion. It also contains questions for young people and leaders. 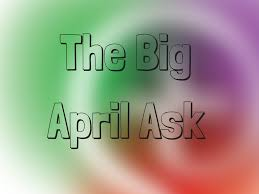 The Big April Ask is a national survey prepared by Youth Leaders throughout Ireland. It needs to be completed by the end of April 2017.